Snooki Pregnant With The Baby No. 3! Find Out? Nicole Polizzi with her new show! Her new show ‘How Far is Tattoo Far” would act as a new beginning in her life! The host along with her would be Nico Tortorella. Well, the show will ask the family, friends, and partners to ink the tattoo and don’t reveal until it gets permanent! There’s one benefit of the show to Nicole! Benefits of the new show! She has been already terrified about leaving kids at home and not seeing them often. But this show is a box of delight for her! ‘This new show is a perfect fit for me… I still get my wine… but I’m not leaving my kids and I get to go home at the end of the day and be a mom.”, she tells the sources! Recently Snooki that she wants to get pregnant with the baby no.3 with Jionni. But she has been seeing the results! She tells to the sources that, “I don’t know what’s wrong. Maybe I’m stressed or I’m just working [too much]. My schedule’s hectic,” Snooki told the sources. The pregnancy led to the slams! Snooki has been terrified about not pregnant. But the critics overwhelmed with hate comments. One of the comment read, Wow! 2 whole months. what a slap in the face for those who actually struggle with infertility.” Looks like some fans took her complaining in the wrong sense!!! But one of the fans commented, “Ladies, she’s not claiming that she struggles with infertility”. Snooki already knows the baby gender! I think that Snooki has very strong instincts about the baby gender! “I already feel it’s a boy. I just feel it. I’m going to have a boy,” Polizzi told sources. Well, let’s her get pregnant first and hope so that her instincts hold true! Snooki Pregnant with the Baby Number 3!? 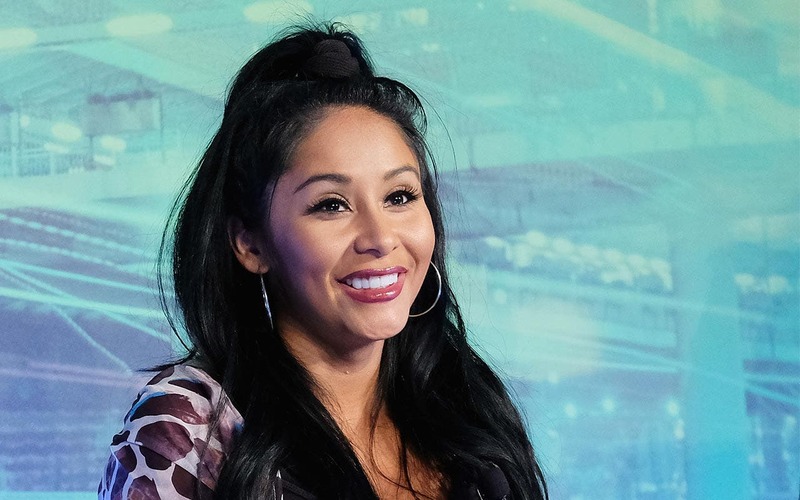 Snooki revealed that “desperately wants” to get another kid! But I think the news is out! An insider to the sources, “Snooki is trying very actively right now for baby number 3. She may even be pregnant right now, though she hasn’t told anyone yet.” Well, wait for her confirmation!